Tim Dubnau, District 1 organizing coordinator for the Communications Workers of America (CWA), saw something earlier this month that he’d never witnessed before in all his years in the labor movement. On May 14, when Verizon Wireless workers throughout Brooklyn held an election to unionize with CWA, a pregnant employee arrived at the Bayridge store at about 11:45 a.m. Already in labor, this worker was unable to descend the stairs to the voting area. In response, the National Labor Relations Board shut down voting and set up a special voting area in the bathroom of the store so the woman could vote. “It was incredible that this union vote was so important to this woman that she came in to vote while going into contractions,” says Dubnau. That day, Dubnau also experienced another first in his tenure with the CWA: a victory for the union among Verizon Wireless retail workers. Last week’s Brooklyn election—which saw Verizon workers at six stores vote 39-to-19 to join CWA Local 1109—marks a major step forward for the union. Though CWA currently represents 40,000 Verizon landline workers, until last week, only 85 Verizon Wireless employees were members: technicians in Long Island, New York City and Rockland County, who voted to unionize in 1989. Organizing Verizon Wireless retail employees is key to CWA’s strategy of extending much-needed union protections to the growing number of workers at the cellular giant. Dubnau and other organizers say that the lack of union representation at Verizon Wireless has impaired the union’s ability to resist the company’s demands for concessions, including the elimination of pensions for new hires and increased healthcare costs. A strike strategy is an integral part of CWA’s plan to have more leverage against Verizon—the union staged a high-profile strike of 45,000 landline workers in 2011—but enlisting retail workers in such actions could give them added clout by forcing stores to close, greatly affecting Verizon’s bottom line. And those workers say they’re excited to unite with their colleagues. "We walked in the footsteps of our brothers and sisters who fought before us. We banded together in the face of adversity and combated fear with hope,” Bianca Cunningham, who works at the Verizon store in Bensonhurst, Brooklyn, said in a statement issued by CWA. “We look forward to Verizon Wireless workers stepping out of the shadows and joining the 40,000 strong in CWA who work at Verizon to continue to fight for the middle class. " For the recently unionized workers, such a fight will likely begin with improving their wages. Verizon Wireless employees in Brooklyn are paid a base salary of about $12 an hour, along with commissions from product sales. In total, that averages out to between $40,000 and $60,000 a year—a difficult income to survive on in one of the country’s most expensive cities. According to organizers, Verizon uses a complex structure to compensate employees, effectively requiring them to sell an average of $100 in accessories per phone sold. This framework has contributed to an environment of tension and fear among employees. “These people would just have panic attacks in the back room if they weren't hitting their numbers. People would come in on their day off,” says Dubnau. “[Managers] would pick on people like bullies to sell phones. Out of 63 people [at the six stores], three were out on [the Family Medical Leave Act] for stress and anxiety. The pressure that these people are under is tremendous." During the 2011 Verizon landline worker strike, picketers amassed outside the retail stores in Brooklyn and elsewhere. After witnessing such actions, Dubnau says, the wireless workers were inspired to organize, too. But the road hasn’t been an easy one. As retail employees began gathering support to organize, Verizon launched a ferocious anti-union campaign. Organizers say workers were forced to attend dozens of one-on-one captive audience meetings with management, sometimes as often as three times a day. High-level Verizon officials, such as Chief Operating Officer David Smalls, even visited Verizon retail locations to encourage employees to vote against the union. However, CWA was able to combat Verizon’s strategy. CWA filmed video testimonials from dozens of Verizon landline and wireless technicians explaining to retail workers how joining the union would benefit them; unionized employees also wrote handwritten letters to each of the 63 retail workers who would be participating in the election. In addition, the unionized technicians encouraged retail workers to contact them to discuss the union; many developed friendly relationships, says Dubnau, which proved to be an advantage in the organizing drive. Overall, Dubnau says, the key to success at Verizon Wireless was letting workers get behind the wheel and drive their own campaigns. He also notes that the victory at the Verizon retail stores follows a series of organizing wins by CWA District 1 at the previously non-union Cablevision television company. Dubnau’s optimism, cautious though it may be, has been further buoyed by the grim determination he’s seen from workers in recent campaigns—especially those new to the labor force. And with the organizing power of both the younger and older generations, Dubnau is hoping that the success in Brooklyn sparks similar results elsewhere. 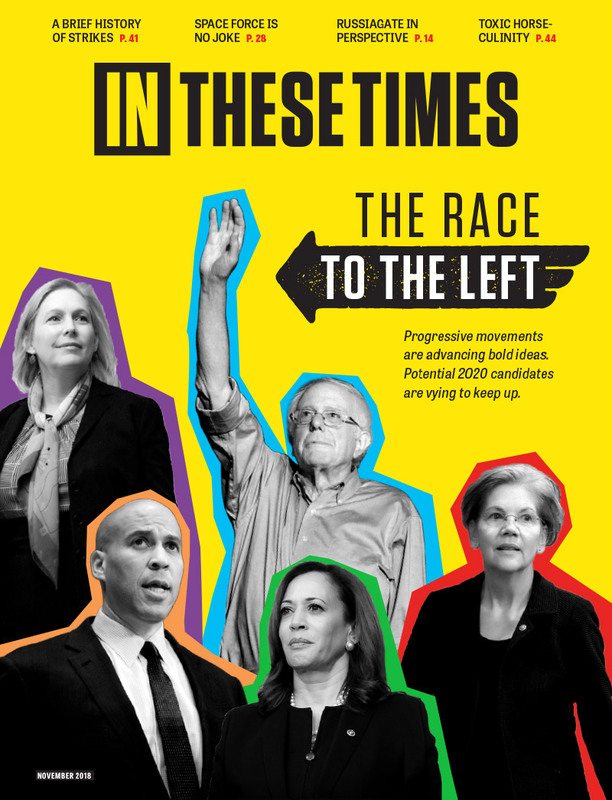 Full disclosure: The CWA is a website sponsor of In These Times. Sponsors have no role in editorial content. This author is a member of the Newspaper Guild - CWA.